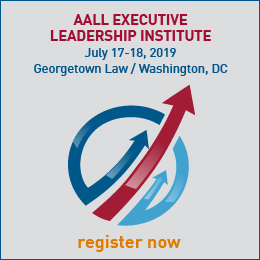 Article 10, Section 3 of the AALL Bylaws states: "Special Interest Sections may be created by the Executive Board by approving the written petition of 50 members of the Association. The petition shall state the aims of the proposed Special Interest Section, and shall state that the group has functioned as an informal caucus for the three years immediately prior to the filing of the written petition. The aims of the proposed SIS may be modified before final Executive Board approval, by mutual agreement between the Board and the petitioners." Before approving a new SIS the AALL Executive Board will seek the advice of the chair of the SIS Council and board liaison to the Council, who shall be responsible for evaluating the viability of the group and reviewing the petition. Members of informal groups sometimes have misinterpreted AALL policy on caucuses and other informal entities. There is no requirement that an informal group must ever petition for recognition as a SIS. Some informal groups have functioned for years in an informal status. 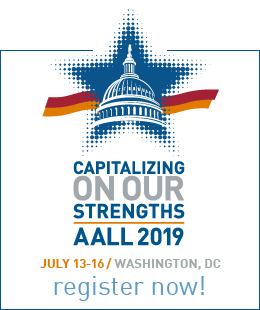 AALL encourages the formation of any informal groups members might find useful. Informal groups are not entitled to AALL funding or the other benefits of SIS status, but neither are they subject to required formalities such as bylaws or annual reports. Over time, an SIS may decide to change its name to reflect changes in focus as determined by SIS members. The SIS chair should contact the AALL Bylaws Committee prior to the vote to be sure everything is in order. Following the vote, the SIS bylaws must be amended to reflect the name change that was just voted on. The SIS chair should refer the matter to an existing or newly appointed SIS Bylaws Committee. The name change and any other changes identified by the committee should be incorporated into proposed amendments, and the redlined bylaws referred to the AALL Bylaws Committee prior to a vote of the SIS, to be sure that everything is in order, and that no additional areas for amendment are identified. The SIS then votes on the proposed bylaws changes as spelled out in their current bylaws. This is a vote on the bylaws change, not the name change. An SIS name change is considered to be in effect immediately following the vote of the SIS provided the vote was in compliance with existing SIS bylaws. It should be reported immediately to the AALL Executive Board, AALL Headquarters, the AALL Bylaws Committee, and the chair of the SIS Council. SISs may designate both standing and special committees to carry out their activities. Some committees are common to nearly all SISs, such as program and bylaws, while others are unique to particular SISs, depending upon their area of focus. All SIS chairs are encouraged to appoint an SIS Education Committee to plan the programs for the SIS Annual Meeting.